With the coming fall comes cooler temperatures—not always a welcome thing. To avoid the big chill, you’d think that getting your HVAC on is the big solution. It is, but will cost you quite a bit on your energy bills. An economical consideration is to invest in siding. Peak Roofing Contractors looks at the five things you absolutely want in your siding. As the protective shell around most of your home, many siding contractors in Manassas, VA, will tell you that durability is a prime consideration. Whether it’s temperature variances, the elements, and even normal wear and tear, you want your siding to last long. Durability also means less worry when it comes to maintenance and even repair, as the hardiest of siding materials won’t break too easily. 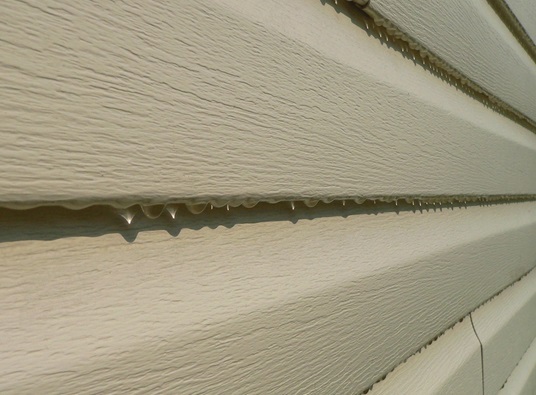 While your area might not experience much rain during fall, your siding should still have this feature. After all, moisture can and will build up when you least expect it. When your siding is water-resistant, you can be sure that it will last longer and handle all the seasons of the year. Two things are affected by how easy it is to put in your siding. The first is labor costs; the easier it is to put in, the more you save on paying for the installation. The second has to do with emergencies. You want your professional contractor to put the siding quickly in the event that something untoward causes it damage. Energy efficiency is about keeping heat where you need it most. For the colder falls months, that’s inside. The siding should resist heat transfer across their surface. The better your siding option is at this task, the more efficient it is. Fortunately, this also lowers your energy bills, as you’ll no longer need to rely on your siding often. Looks might not be entirely the most important consideration, but these are still important when you stay in your home most of the time. It helps to consider colors and designs that match your roofing and gutters in Manassas, VA, because this will help create a unified look for your home. All of these things make the siding a worthwhile, long-term investment. Peak Roofing Contractors is ready to help you pick out the right siding material that fits your home’s needs and your budget. Give us a call today, and we’ll be more than happy to assist you.